Spin This: "Tell You (Today)," "Love Is Free,' "Lose Control"
Robyn may just be one of the most unorthodox electronica acts today. Since dropping 2010’s Body Talk in two divided parts –both well received and critically acclaimed, then pulling off a third part in the form of an EP all in the same year, the Swedish dance-pop star refuses to play by the rules. 2014’s one-time pair up with “Remind Me” electro-duo Röyksopp only continued her fascination with adventure. She does it again on the EP Love Is Free, another joint collaboration with a host of producers. The singer pairs up with Markus Jagerstedt and the late producer Christian Falk, who died of pancreatic cancer during the making of the album, to form Robyn & La Bagatelle Magique. It’s a careful homage of underground New York disco, old school Janet and Madonna, but with Robyn’s hip to the tip brand of electro coolness. With Disclosure-like action dominating “Lose Control” and the bouncy deep house beats of the title track in place, Robyn sounds like a torchbearer of everything good about dance music. Although the talk-sing approach of “Got to Work It Out” sounds like borderline Britney (think “Til The World Ends”) and seems like a slight step back, Robyn and her creative team keeps the five-track EP alert when it sashays into its final minutes. The final effort “Tell You (Today),” featuring Falk’s disco-heavy drumming, sounds like leftovers from a Sylvester session circa late-70s. It actually samples Loose Joints’ 1983 jam of the same name – horns and whistles are all there. 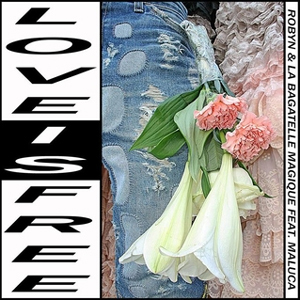 Other than a small portion of lightweight EDM tucked inside the middle and Patrik Soderstam’s atrociously borderline-camp photography inside and outside the liner notes, Love Is Free is an excellent addition to Robyn’s discography.